I am truly not a Religious person however I do know the most high …God, ALWAYS has my back!!! 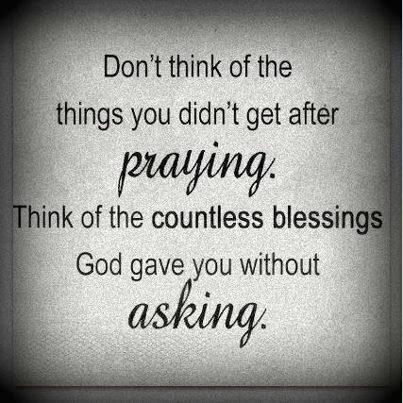 I don’t ask for NOTHING because I’m blessed with everything I have! and my ability to HELP others!! That alone… is ENOUGH to say that I am truly BLESSED!!! Previous Shakeology 3 Day Cleanse May 27th! Join Me!